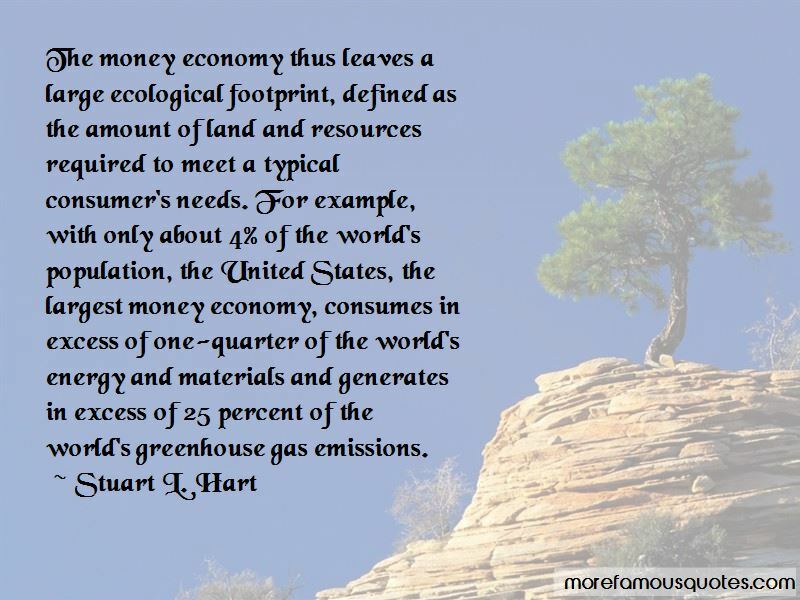 Enjoy the top 5 famous quotes, sayings and quotations by Stuart L. Hart. Roughly two billion people participate in the money economy, with less than half of those living in the wealthy countries of the developed world. 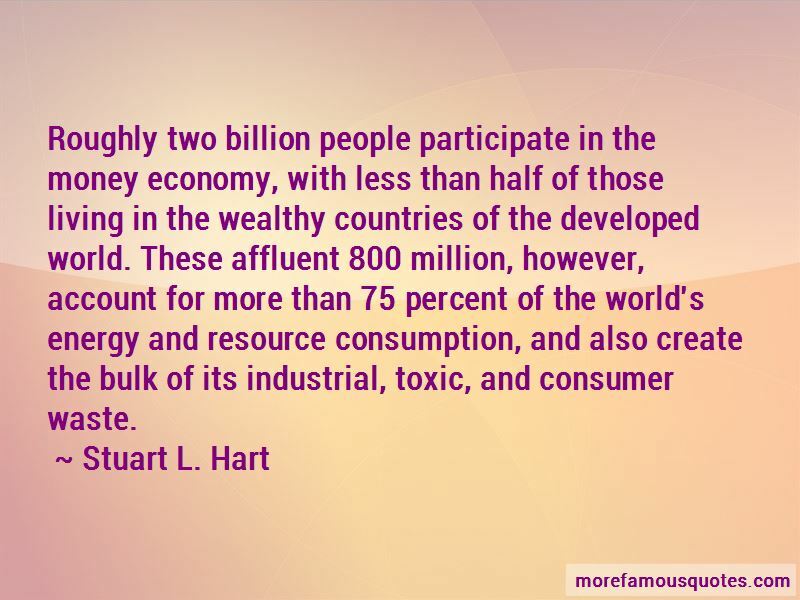 These affluent 800 million, however, account for more than 75 percent of the world's energy and resource consumption, and also create the bulk of its industrial, toxic, and consumer waste. 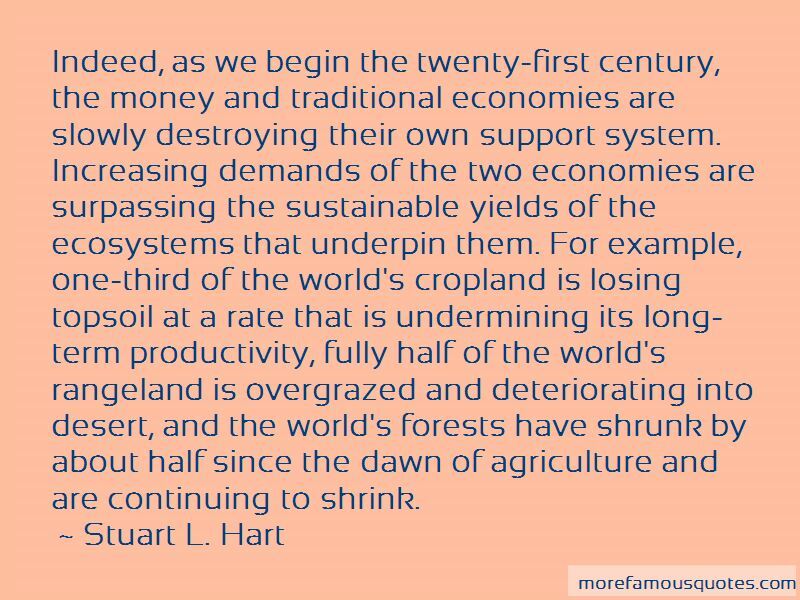 Want to see more pictures of Stuart L. Hart quotes? 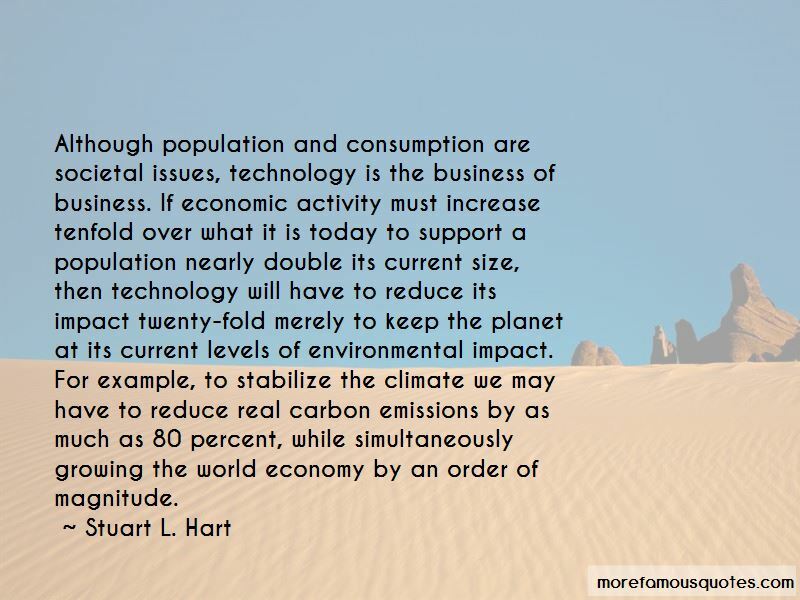 Click on image of Stuart L. Hart quotes to view full size. “I see myself as a Scottish sky: there are rain clouds, rainbows and sunrays that run and overtake one another, mingle together and” — C. JoyBell C.